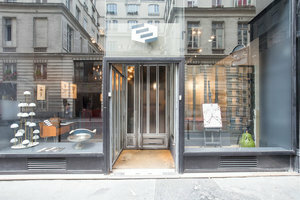 This modern retail gallery space is situated close to Gare du Nord in the 10th arrondissement. 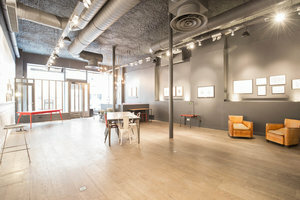 This stylish space is perfect for a Pop-Up Store or Art Opening. This large open space has an inviting frontage with a prominent double window display, bringing in a lot of natural light. With tasteful interiors comprised of matte grey walls, wood floors, exposed piping and track lights this space has an attractive atmosphere. Extensive facilities including counters, garment racks, furniture, internet and a kitchen among others make this space a great option for creative pop-ups. 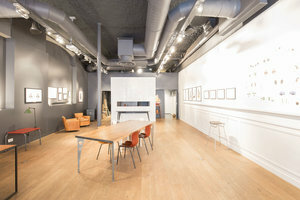 Located close to Rue la Fayette and Boulevard de Magenta, this space is ideal for brands and designers to connect with customers and generate new business.